14738 SW 4th St #4-49, Pembroke Pines, FL.| MLS# A10598004 | Susan J Penn l Best Agent l Buy & Sell South Florida Homes! Updated and move-in ready! 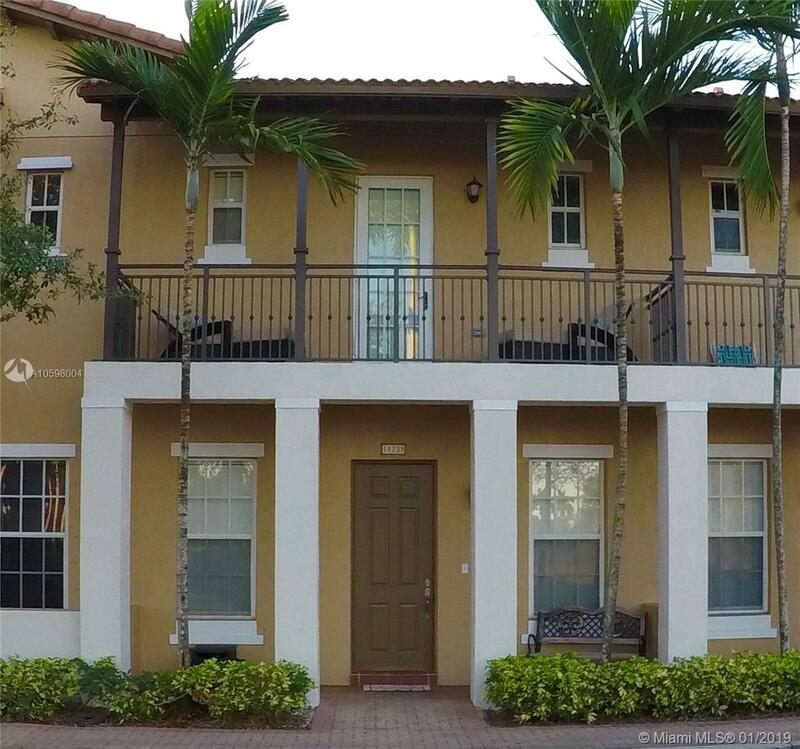 2BD-2.5Bth water view townhome in Cobblestone (Pembroke Pines). This home has new kitchen cabinets, backsplash, granite counter top, stainless steel appliances. New washer and dryer. Freshly painted outside. Wood flooring in entire second story, and ceramic tile in entire first story. Master bedroom features a spacious walk-in closet and balcony overlooking the lake. Master bathroom features a new frameless shower door, new tile and shower, new cabinets and granite countertop. Covered front porch overlooking the lake, patio and 2-car paved driveway. Gated community, roving security, close to malls and I-75. HOA fees INCLUDE house alarm system, Comcast cable, HBO channel lineup, DVR, Modem/Router, and high speed internet. Directions: Take I 75 Thentake Exit 9b Get On Pines Boulevard Then Make A Left On SW 149th Ave And Then Turn Left Onto SW 3rd St Then Turn Left Onto 148th Ave Until The Gate, Then Turn Right Onto SW 4th St. The content relating to real estate for sale on this web site comes in part from the IDX program of the JTHS Council of the MIAMI Association of REALTORS® and their Multiple Listing Service. The copyright for these listings is under the © 2019 MIAMI Association of REALTORS® MLS. This information is not verified for authenticity or accuracy and is not guaranteed. The information provided is for consumers personal, non-commercial use and may not be used for any purpose other than to identify prospective properties for purchasing. This information was last updated as of date specified below. Some properties which appear for sale on this web site may subsequently have sold or may no longer be available. Data last updated 2019-04-25 07:49:12.